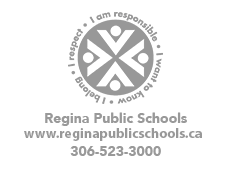 On March 18, 1929, following a building boom in the city of Regina, a contract to build a school was awarded to Bird, Woodhall and Simpson Contractors with the proviso that the school be completed by September 1, 1929. Mr. F. H. Portnall was engaged as the architect. The property selected upon which the school now stands was a race track prior to the 1900's. Mr. James Grassick, who later became the mayor of Regina, and for many years was the Chairman of the Regina Public School Board, rode in the races as a jockey. The school was to contain 14 classrooms which was to be adequate accommodation for 448 students. However, statistics show that at one time there were 470 students accommodated in 12 classrooms. Two classrooms were later designated for Home Economics and Visual Education. The Home Economics Room was to provide laboratory instruction for the girls from Connaught, Lakeview, Victoria and Davin schools. The total cost of the building and equipment was $203,000.00. Davin School was formally opened on Friday, November 15, 1929. E. O. Walker, Chairman of the Public School Board presided. There was a short program of choruses and folk dancing by school children, followed by several speeches. The evening ended with the unveiling of two portraits of Nicholas Flood Davin, for whom the school is named. Nicholas Flood Davin (1843-1901) was born in Ireland and came to the West in the early 1880's. He became entranced by the limitless horizons and the beauty of the prairies. A newspaper man and journalist, a speaker with a lively Irish wit and flamboyant style of oratory, he became the champion of the West in federal politics at a critical period in the settlement of western Canada. Davin was a notable citizen of a very new city of Regina. In addition to this school being named in his honour, the City also named a fountain and a street after him. A recent re-evaluation of Davin’s legacy in light of his significant contribution to the creation of residential schools in Canada has led to an examination of his life and actions. This re-evaluation has signaled a need to work towards understanding and reconciliation. Davin School is currently working with its students and community to understand this legacy and to build towards a lasting reconciliation.